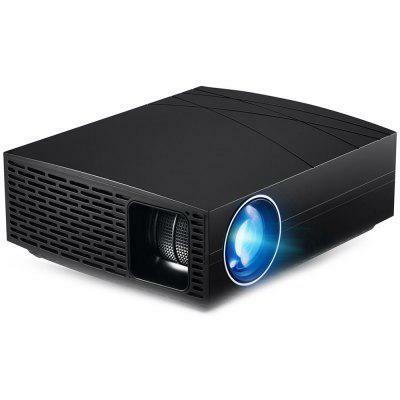 YG-300 LCD Mini 1080P Portable LED Projector with Built-in Battery is a multimedia player with 320 x 240 pixels, visible 400-600 lumens and 800:1 contrast ratio. With this small but high performance projector, you can enjoy the high-quality images and videos in a very comfortable position. Handy size makes it portable and convenient to operate. You can get a clearer and bigger views from a compact-sized device. In addition, this LED projector features excellent heat dissipation, with stable performance and long lifespan. A nice device for home use! Notice:This projector can not be directly connected to the phone, you need to use with the HDMI cable. Connect the HDMI interface to normal use. Support AV / CVBS / HDMI / USB multimedia interfaces for DVD player, laptop computer, set-top boxes, gaming consoles, etc.